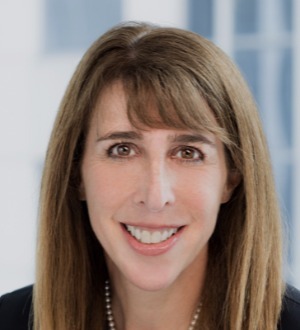 Firm: Fischel & Kahn, LTD.
Julie Brett is a principal at Fischel & KahnShe focuses exclusively on family law, working with families and individuals to resolve problems and start new chapters in their lives. From marriage and adoption through divorce, parentage and enforcement issues, Julie guides people through challenging times and help find the best possible outcome to each situation. Over the course of her career, she has helped countless professionals through a variety of family transitions. When clients consider a divorce, she begins by discussing the benefits and risks of various divorce process options to help them determine the most suitable path based on their unique circumstances. Julie has found that many situations benefit from collaborative dissolutions, which involve helping both parties make forward-looking decisions that provide financial and parenting arrangements and parenting solutions unique to each client’s situation. This collaborative, cooperative approach may involve the participation of coaches, therapists and/or mediators to guide each party to focus towards a settlement that positions her clients for positive future outcomes. However, in cases when the cooperative process breaks down, Julie has the experience and ability to fiercely advocate for her clients in court. In addition, she helps clients plan for the future by strategizing with financial experts, parenting specialists and other professionals to achieve the most favorable outcomes.